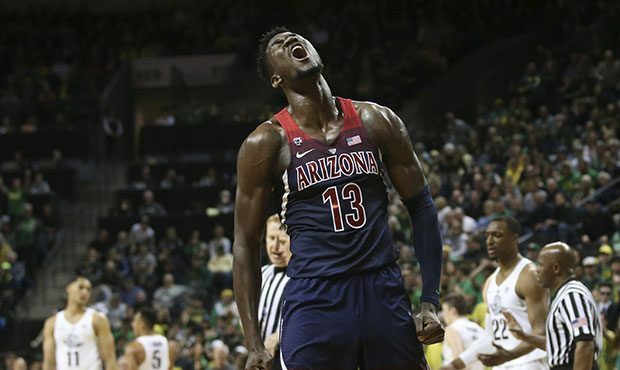 As a 7’1″ 260 pound behemoth with 6% body fat and a 40 inch vertical, Ayton has all of the physical gifts to be a generational NBA center. Add in the fact that he has a reliable jump shot, post game, developing turnaround jump shot, ability to dominate the glass and pass out of a double-team. Ayton flashes the sort of gifts and potential to be one of the best players in the NBA. He feels like a 2018 version of (yes I am saying it) Hakeem Olajuwon. He is not without his faults, he could become better at stepping out and defending guards on switches or defending the pick-and-roll, but he is a special player and franchise cornerstone. He is the kind of generational talent the Suns have been yearning for and have never had at the center position. A franchise that has seemingly been cursed at the center position for much of their existence (seriously look at the true centers in their franchise’s history) after losing a coin flip and the chance to draft Kareem Abdul-Jabbar with the No. 1 of the 1968 NBA Draft in their inaugural season 50 years ago they may be able to land a hall of fame center 50 years later. With Ayton and Booker and the right mix of complimentary role players the Suns could return to prominence in the western conference in the near future. Doncic is possibly the highest touted European prospect ever. At 19 years old, he is averaging 15-5-5 in the second most competitive league in the world and exhibits a feel for the game way beyond his years. At 6’8″ Doncic has the ability to be the lead or secondary ball handler for an offense and see the floor a play or two ahead. He can play a 1 through a 3 and be the lead table setter or scorer when called upon. The Kings will be tickled to have the opportunity to draft him after rocketing up to the No. 2 pick from No. 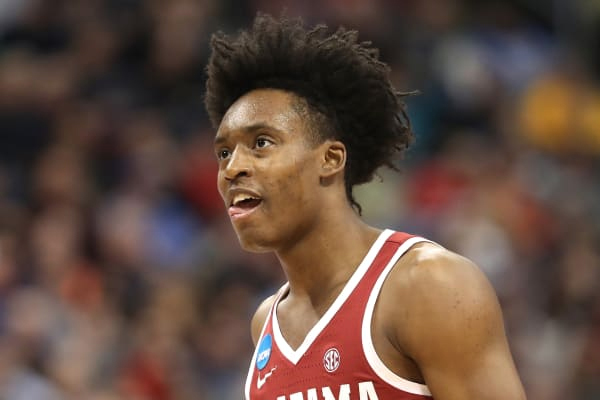 7 and he could fit well alongside DeAaron Fox to make up for his potential defensive limitations and some shooters like Buddy Hield and fellow eastern European Bogdan Bogdanovic. 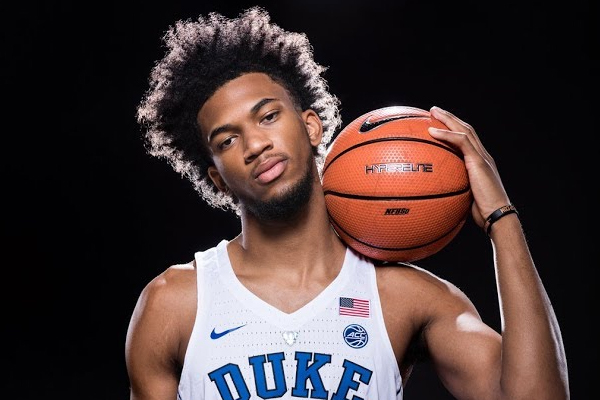 Marvin Bagley is the best player in the ACC and as a freshman exhibits incredible body fluidity and a quick first step for his size. He has the rare second jump ability and springiness to be able to dominate the offensive and defensive glass. He can score in the post and while a work in progress, he has great form on his jump shot and could develop that into being yet another weapon to add to his offensive game and arsenal. He is not a great rim protector and seems to fall somewhere in between a 4 and a 5 at the NBA level at this point, but his ceiling is through the roof like an Anthony Davis. There are definitely concerns with Bagley, but he is obscenely talented and will figure it out and Atlanta will do whatever it can to build its franchise around him. 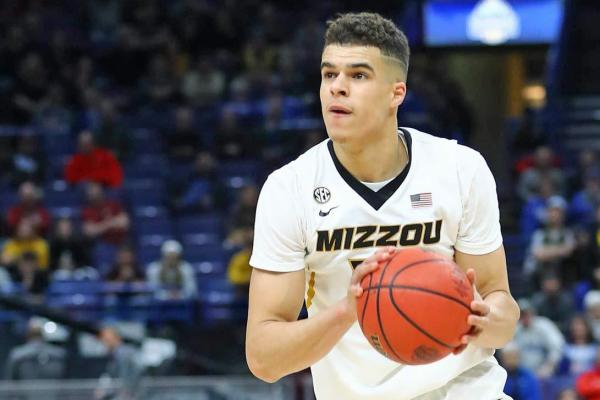 4.Memphis Grizzlies- Michael Porter Jr. The Grizzlies are admittedly bummed about falling back two spots in the lottery as they likely dreamed of being able to take Doncic to pair with Conley and Gasol and have one of the best passing teams and most high I.Q. trios in the NBA, being able to take an athletic marvel and springy offensive-minded forward like Michael Porter Jr. whom many thought would be the No. 1 pick before injuring his back last season, is a pretty good consolation prize if you ask me. Porter just feels right in a Grizzlies uniform. The Mavericks are likely bummed that they moved down from No.3 to No. 5 in the draft lottery (Dirk tweeted his frustration), but in reality in this scenario they still end up with the guy who fits them best anyway in Mohamed Bamba. 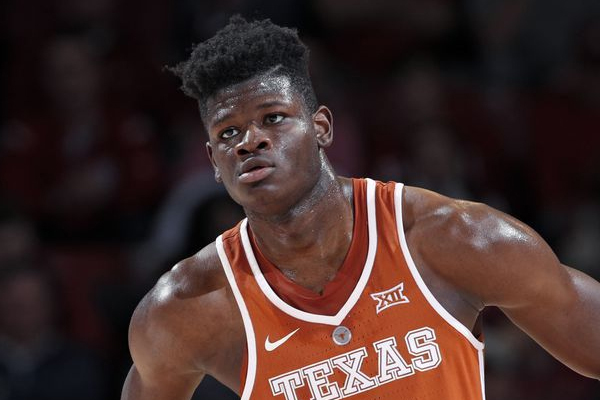 Bamba has a freakish 7’9″ wingspan and a unique fluidity for a man of his size and could develop into a Rudy Gobert type defensive anchor with the ability to stretch the floor a little with his jumpshot, which would make him immensely valuable in the NBA and a true find for the Mavericks at No. 5. 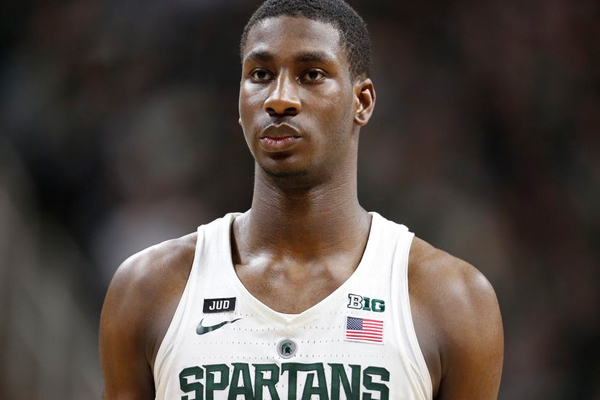 Jaren Jackson Jr. is very young and raw (he doesn’t turn 19 until September), but as a guy who has flashed the ability to be an elite shot blocker (3.1 per game) and an elite three-point shooter (39%), he possesses the ideal skill set for an NBA center in 2018 and a combination of talents that is pretty rare. He projects to have the skill set every NBA team wants for a big man of the future, but has never been a go-to player or star on any level at this point in his life and could project out as a good starter and complimentary piece and not a franchise cornerstone. 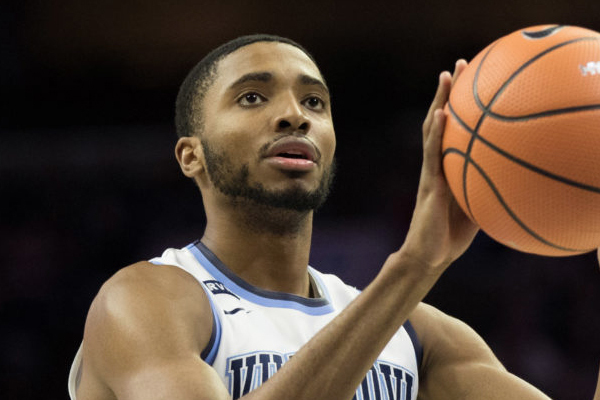 Mikal Bridges is the exact kind of glue guy you want to build around a team around in 2018. A long, active and athletic two-way player who will attack the offensive glass, be a 3-and-D an slash to the rim while providing constant energy. He would be a perfect fit for a Cavaliers team lacking in those abilities. He could be exactly the sort of complimentary piece to help LeBron day one should he choose to return to Cleveland in 2018-19. 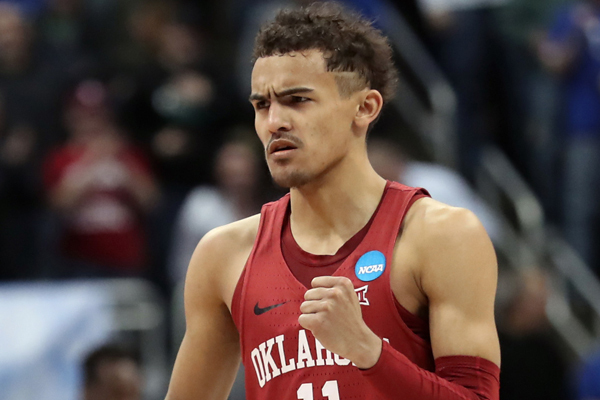 While he cooled off a bit in the final two months of the season, Trae Young has dominated college basketball at the point guard position more than anyone in recent memory. Leading the nation in scoring (27.4) points and assists (8.8) per game is an incredible feat. He has way more Steph Curry in his game than any point guard entering the league since Curry and could be a special player on the next level with his ability to get off shot off anywhere and shoot anywhere from 30 feet in. He will deal with more length and speed on the NBA level and will have to develop more strength and creative space creating moves. His slender build and lack of explosive athleticism make him a risk to be able to get his shot off consistently or finish around the trees in the paint in the NBA. I can’t decide if he is a future star or destined to be scoring 35 points a game in the Chinese Basketball Association in five to seven years. Carter is a highly skilled and talented big man that has a very refined game that compares to current NBA All-Star Al Horford. Great feel for the game an an ability to handle the ball or score in the post, but he is not an elite or explosive athlete on the NBA level which will require him to use his smarts to be highly effective. He projects to be a pretty good player all around with his ability to rebound, pass, stretch the floor and protect the rim a little despite his athletic limitations. Bridges has a fully developed NBA body and powerful frame at 6’7″ 230 pounds and utilizes it effectively. He is a slasher going to the rim and finishes through contact. He also has shown an aptitude for shooting the three ball. He may struggle to find a defined position in the NBA though at 6’6″ and possibly not able to effectively be a 3 or a 4, I can see him being out of the league in five years, but that is just my opinion. 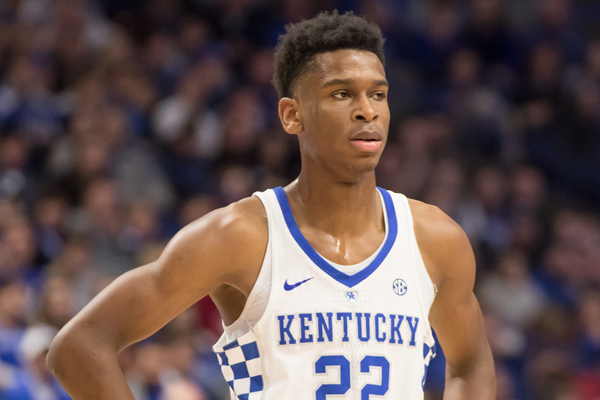 The biggest revelation on an underwhelming Kentucky team this season has been 6’6″ point guard Shai Gilgeous-Alexander. He needs to develop and add to his slight frame, but he is a good passer and ball handler and uses his height to be able to see the floor and be a play-maker for a gifted Kentucky team. He has also shot an impressive 41% from three-point range this season and could add have an opportunity to play a ton from day one depending on what the Clippers decide to do this off-season. He is more of a scoring guard than a true point guard at this point and has a similar game to Spurs second year guard Dejounte Murray. 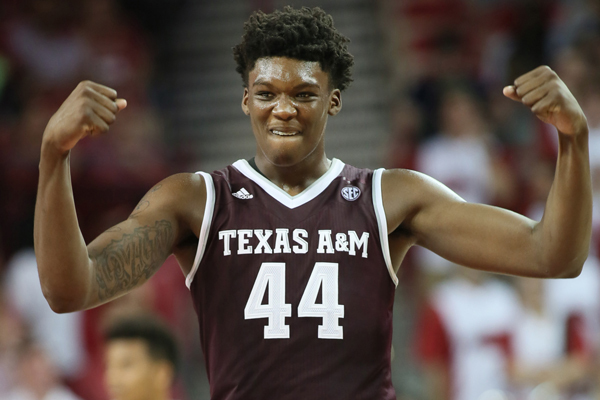 Robert Williams is a powerful and explosive athlete through and through. 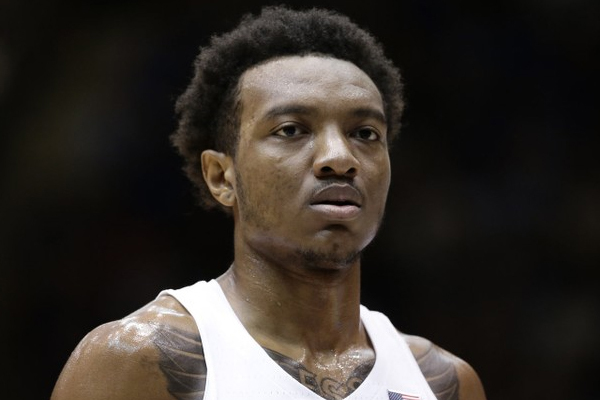 He feel down draft boards a bit this season after being viewed as a potential top five pick after making the decision to come back for his sophomore season at Texas A&M, but he still flashes the potential to be a rim running, pick-and-roll finisher and rim protector as a slightly undersized center at the NBA level and could fill the role that DeAndre Jordan has filled for the Clippers for a decade. Thomas might be just the kind of player the Nuggets are missing. 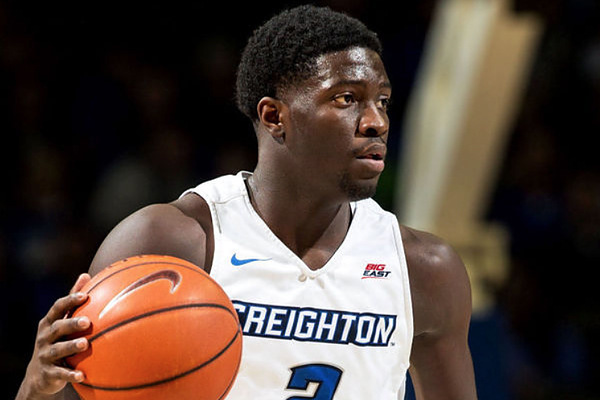 A 6’3″ combo guard who utilized his 6’11” wingspan to be a two-time Big East Defensive Player of the Year, while averaging 15 points and shooting 41% from three this past season. He may not have the cache or ceiling of a Kevin Knox or a Lonnie Walker here, he would fill a huge void for the Nuggets.